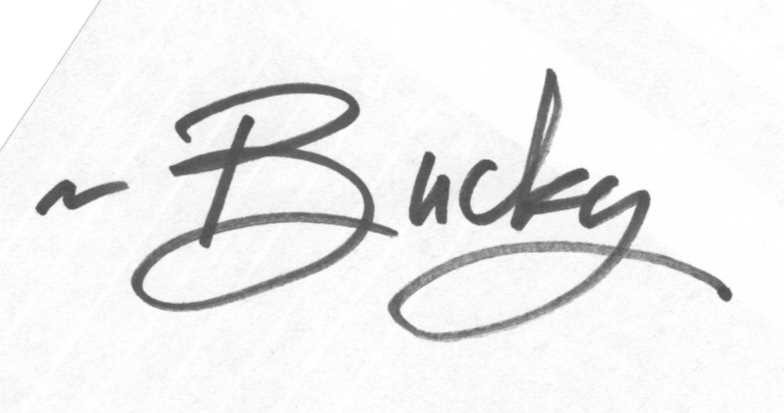 Maybe you’ve noticed, but I almost always write posts on Mondays. Maybe you also noticed that I failed to post anything yesterday. Was it an accident? Was I horribly sick? Au contraire, mon ami. It was my birthday and I spent most the day in hyperglycemic shock while wearing an oversized Garfield sweatshirt and downing vegan corn dogs. Okay, well my whole day wasn’t spent in shock. Most of the day was prep work building up for the introduction of mass amounts of sugar into my body. I am now here to pass on some delicious recipes so that you too can fill yourselves with cups of white granulated sugar. What’s that? 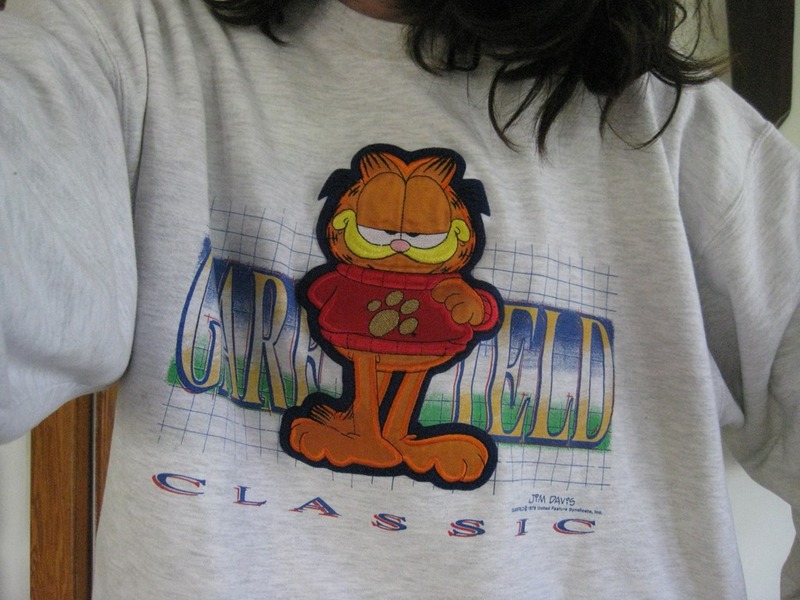 You’re still thinking about that Garfield sweatshirt? Yeah, you should be. Because it’s awesome. In fact, here’s a picture. Anyhow, I digress. Let me show you the wonderful food I indulged in. 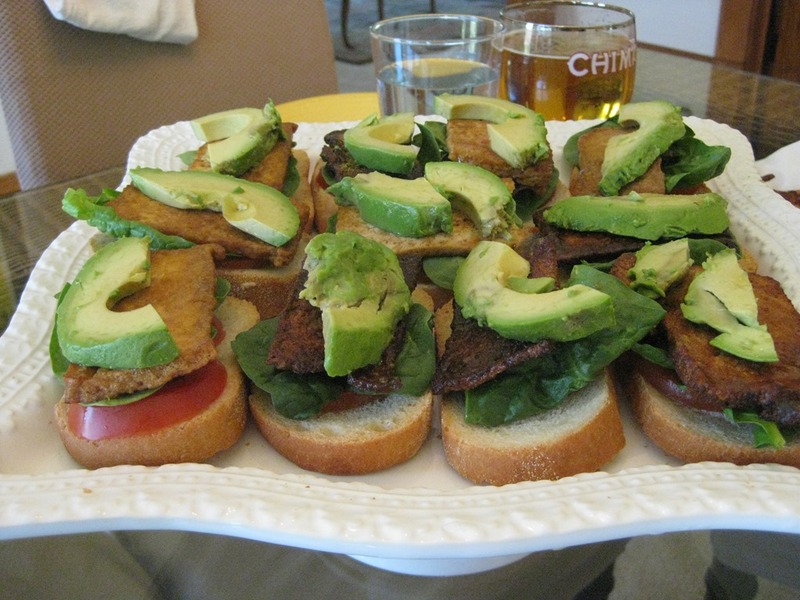 Usually I request lasagna (please hold the Garfield jokes) for birthday dinner, but I decided to switch it up with another favorite dish: Tofu avocado sandwiches. 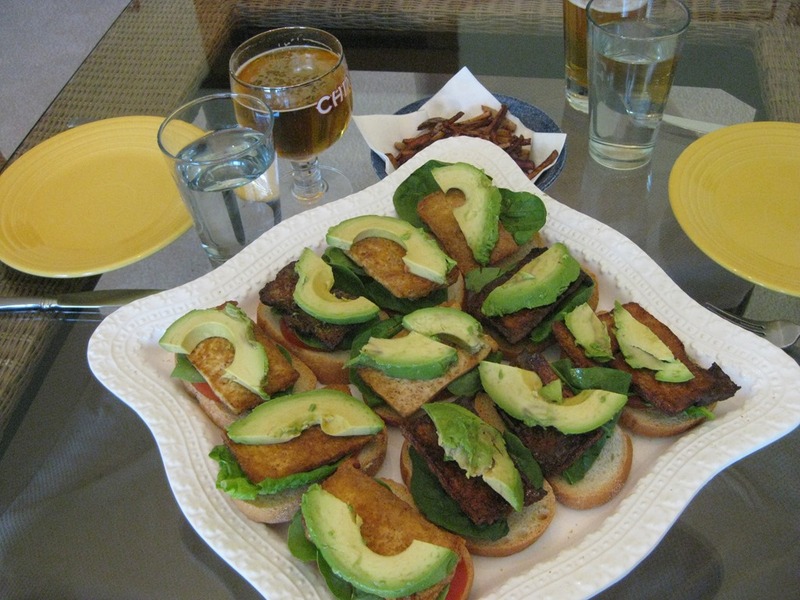 The original tofu avocado sandwich came from the Grit (I think) and is bread, balsamic vinegar, tofu (lightly fried and seasoned) with avocado. 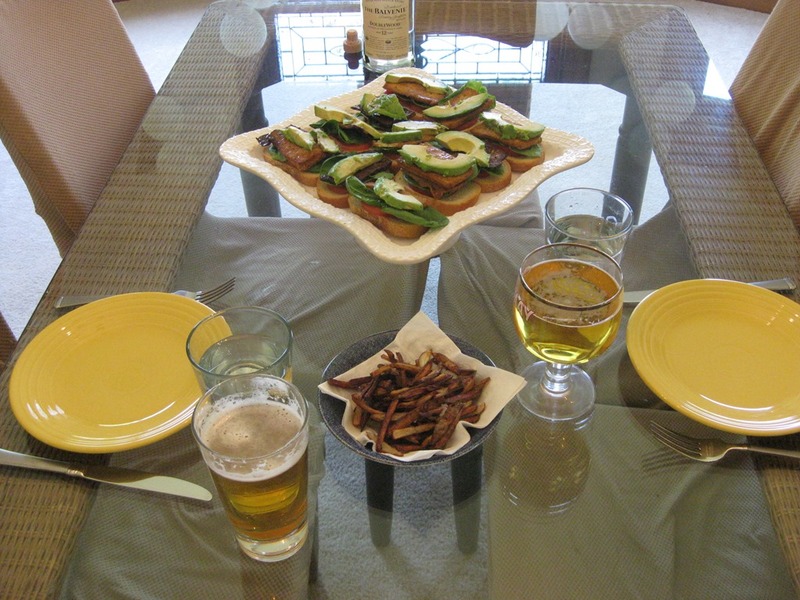 We made them slider style and went for a more BLT-esque taste. The hard part about having a delicious meal is having to limit yourself. Obviously you need to save room for the best part: cake and ice cream. My favorite flavor of ice cream is strawberry, hands down. 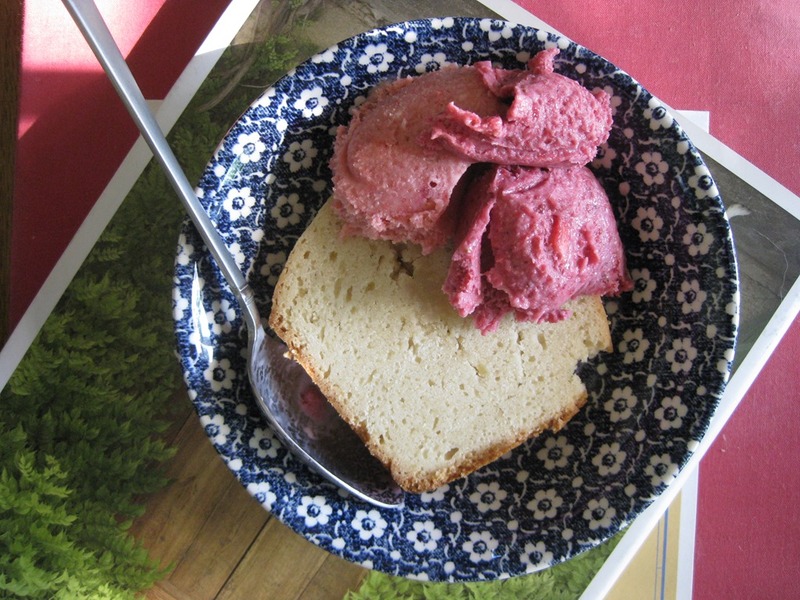 The bad thing about that though, is that you can never ever find strawberry ice cream that’s vegan. I did once. It was in a New York City Whole Food’s and I bought as much as my student budget could afford. I never saw it again. 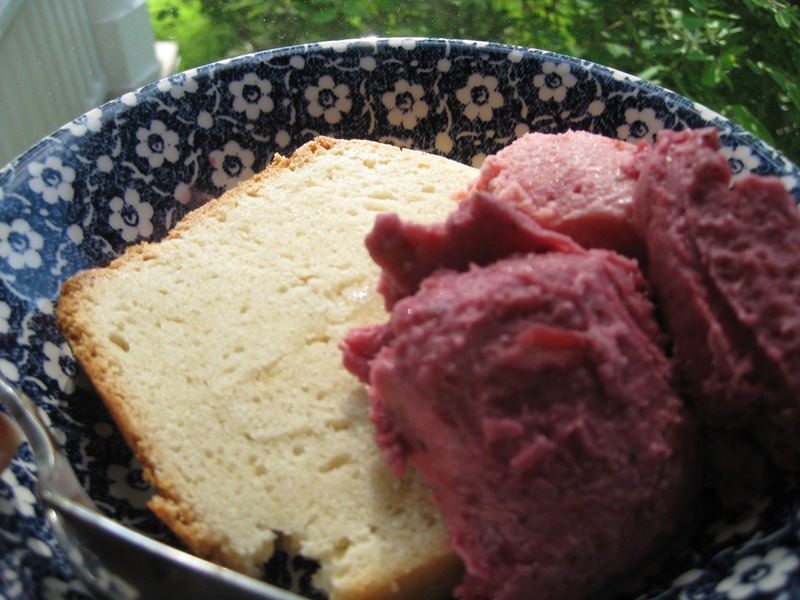 It is seriously the easiest ice cream recipe EVER. The only thing I didn’t do was strain the seeds. I also put the mixture on the stove for a hot second after blending to make sure all the sugar was dissolved. But seriously, so good. We were both downing it by the spoonful (see: Hyperglycemic shock) when Andrew proclaimed that we were the gods of ice cream. Quite possibly. The two scoops of ice cream on the right are blackberry/strawberry and the one on the left is just strawberry. It was just the right consistency without being too dry. Like, it was moist…in the best way possible. In fact, it’s only 9:40am and I’ve already had two slices (confession: the cake picture is from my breakfast). I had to cook it a little bit longer than the recipe, but that could have been the type of pan I was using, or my oven might heat unevenly. Regardless…it was delish. My birthday has passed, but there is plenty of cake and ice cream to last me another day or two. Unfortunately, I can’t say the same for the frozen corn dogs…but hey- it was good while it lasted. For the record, I actually did other things this weekend besides eat ridiculous amounts of food and drink. If you’re interested in my visit to the Roycroft Campus (or the cupcakes I ate in East Aurora) I’ll be blogging about it in a day or two on Elle’s Adventures.